When my friend’s mom brought out cups of mini tiramisu at her baby shower, I wanted to squeal. Sweet fluffy cream on top of a delicate ladyfinger, sprinkled with cocoa powder and perfectly squeezed into a small mason jar, how could anyone not fall instantly in love? I needed the recipe. My friend, Cristin, sent me the recipe right away, where it sat in my inbox for about five months. All the ingredients. Make my own ladyfingers? The recipe seemed incredibly complicated. Every time I made time to test the recipe, something else came up or it didn’t seem to be enough time. Mother’s Day seemed to be the perfect opportunity to test the recipe. I was among family, so even if things turned out horrible, I was in a position with no pressure to impress. Plus I could always swing by the bakery for an apple cobbler if push came to shove. Lesson learned; lengthy instructions and long ingredient lists can be deceiving. 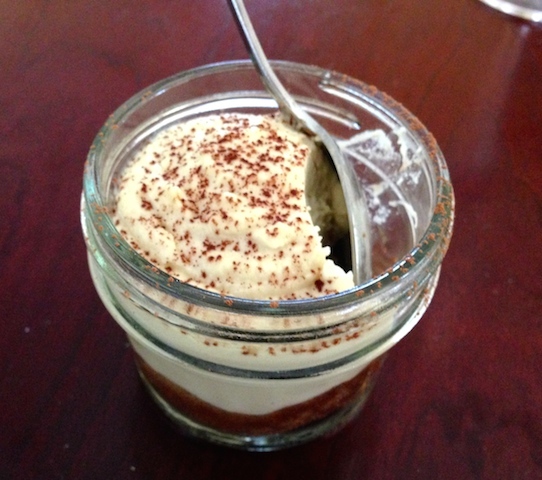 The mini tiramisu recipe may be the easiest baked good I’ve ever made. Light and fluffy cookies baked in a muffin tin, then cooled and transferred to mason jars, cream piped on top and sprinkled with cocoa powder. The most challenging part might just be finding the mini mason jars if you try making the recipe outside of canning season (I rely on Amazon Prime when my hardware store is out of jars). MAKE THE LADYFINGERS: Preheat oven to 350°F. Grease muffin tin and set aside. In a large bowl, beat egg yolks until pale yellow. Add sugar, reserving 1 1/2 tablespoon, and continue beating yolks until they triple in volume, about 6-7 minutes. Sprinkle egg yolks with flour and stir until just combined. In a separate medium bowl, beat egg whites and remaining sugar until stiff peaks form. Gently fold egg whites into yolk mixture. Spoon mixture into a pastry bag and pipe into prepared muffin tins, about 1 tablespoon each, just to cover the bottoms. Dust with powdered sugar and bake about 10 minutes until lightly browned. Let cool completely in tin then use a knife around the edges to get them out of the cups. MAKE THE CREAM: Stir together water, espresso powder, 1 tablespoon sugar, and Kailua in a shallow bowl until sugar has dissolved, then cool. In a medium bowl beat egg yolks, Marsala, and remaining 1/3 cup sugar in a metal bowl set over a saucepan of barely simmering water using a whisk or handheld electric mixer until tripled in volume, 5 to 8 minutes. Remove bowl from heat. Beat in mascarpone until just combined. In a large bowl, beat cream until it holds stiff peaks. Fold mascarpone mixture into whipped cream gently but thoroughly. ASSEMBLE THE TIRAMISU: Quickly dip each side of each lady finger in coffee mixture. You want them to be damp, but not soaked and soggy. 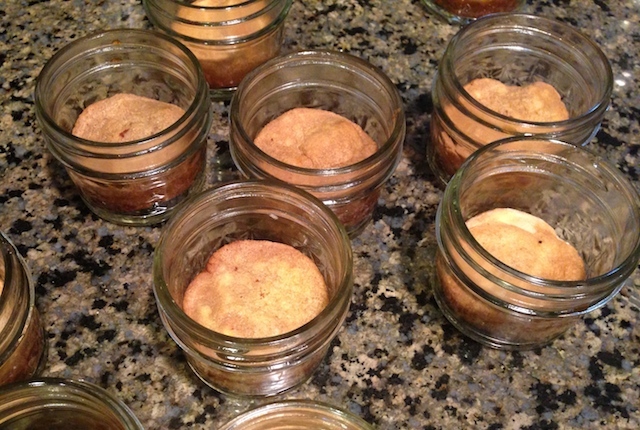 Push ladyfingers into the bottom of each mason jar. Fill a pastry bag with cream mixture and pipe over ladyfingers almost filling the mason jar (I left about 1/2 inch). Chill, covered, at least 6 hours. Dust each cup with cocoa powder and let tiramisu stand at room temperature 30 minutes before serving. I love this. Such an attractive presentation. And it is wonderful you made the ladyfingers. So easy to buy store bought and I am sure there is no comparison on flavor and texture. Tiramisu is my favorite dessert! Saving your recipe for sure. Thanks. I was extra nervous about making the lady fingers but they really were super easy. My mom didn’t understand why I was making them, when you’re right, they are so easy to find in the store, but I wanted perfect little round ones to fit in the jars. We must be on the same wavelength, I have been thinking about tiramisu, wanting so badly to make it. You inspired me to do just that, I love that you make the ladyfingers. Often I am held back from making it because they are not readily available. Great recipe. Thanks. The ladyfingers really are super easy and worth the little effort. Beautiful presentation and perfect portion sizes. 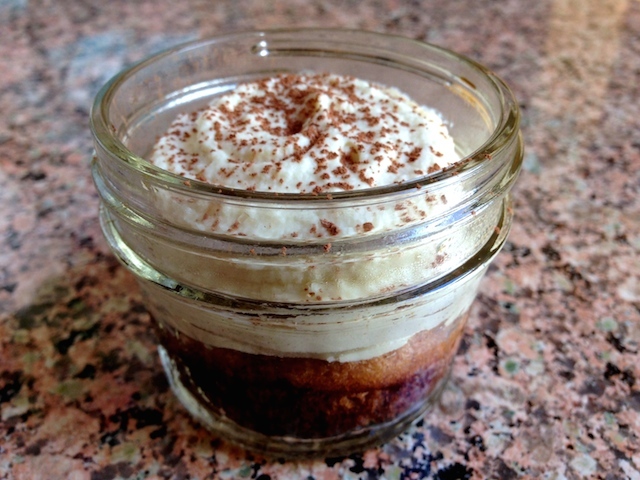 Looks fabulous and I just adore Tiramisu and I am getting into mini desserts too! I might just have to try this one. Will pin it for the future! Thanks Bernice. 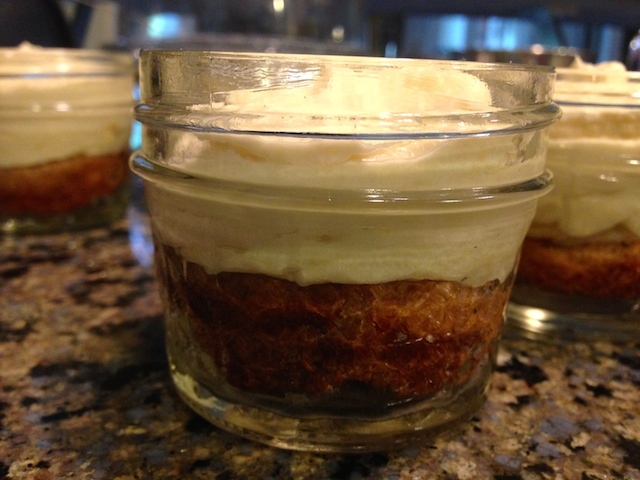 I need to find more mini dessert ideas! I love the idea of being small enough that you don’t feel guilty but still plenty to enjoy without having to share. I just posted a couple of mini desserts I made for mother’s day and I have two more to post. They were fun to make and eat. So festive with everyone getting to pick what they wanted to try. Agreed. No need to share or worry about cutting slices of a massive cake! I was endeavoring to make these, but i am sort of afraid to proceed when i noticed the “Marsala” indicated in the instructions, but not under the ingredients heading??? Not sure what that is or how to proceed?